Welcome to Railfan Pennsylvania. 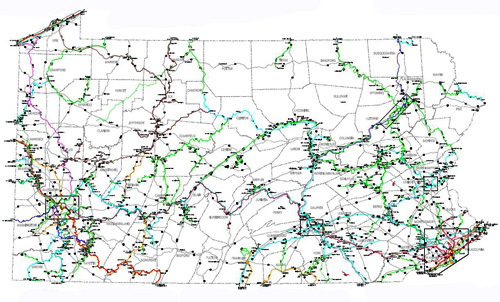 The goal of this site is to provide comprehensive railfan information for railroads in and around Pennsylvania, including timetables. maps, photographs, videos and guides to select locations. This site is constantly being updated and expanded to maintain a high level of accuracy. If there is something you would like to see on this site or have an idea for further expansion please feel free to contact us via the email listed at the bottom of each page. Thank you for your help and please enjoy the site.